Phuket is the Mecca of scuba diving in South East Asia. With renowned dive sites like Shark Point Phuket, Koh Phi Phi and the King Cruiser Wreck. Euro-Divers extends its diving services to scuba divers in the Andaman Sea. Euro-Divers at Club Med Phuket offer divers Taylor made scuba diving service that makes up Euro-Divers’ reputation. Phuket has fantastic dive sites. It also gives divers the chance to enjoy its hospitality, warmth and friendliness of the Thai people. The underwater world of Phuket Thailand offers divers the perfect balance between peace and variety. Unspoiled nature and thrilling dive sites. 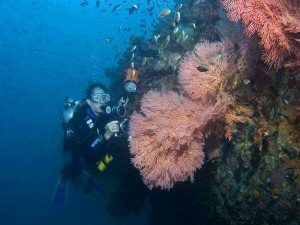 This makes Phuket one of the best places to go for a diving holiday. While in Phuket divers will profit from free transfer service by air-conditioned minubus from Patong, Kata and Karon to the departure point of the boat in Chalong. 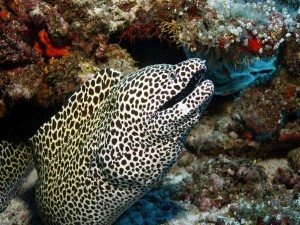 Many divers prefer to book a five day diving package and add days diving on site. Additional diving days are calculated pro rata. With five days of diving, you will have the opportunity to do at least ten dives. Days of diving do not need to be consecutive so if you want to relax after a few days of diving it is possible to do so. 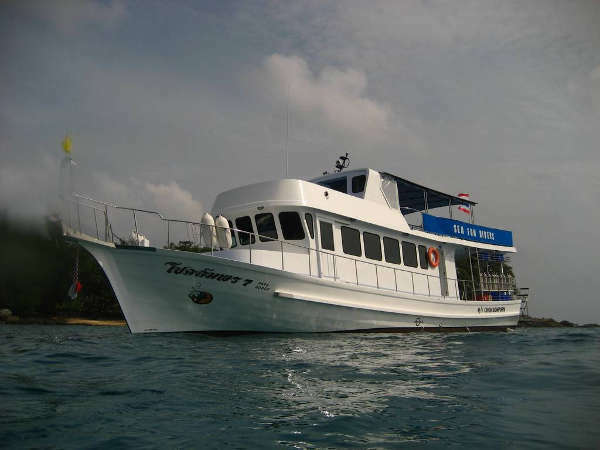 We have our own dive boat and accept only twenty divers plus instructors guiding groups of divers of a maximum of four. Breakfast and lunch are served on the boat. The unsurpassed service and the friendliness of the Thai people adds to the unique experience. While in Phuket, experience our daily dive excursions and dive courses. Service at its best and fantastic dive sites that are awaiting divers of any level. The pre-booking of diving packages for Club Med Phuket has stopped. In the future, should you wish to book any diving in advance, please send us an email directly to phuket@euro-divers.com. Our diving services continue as normal and all your boat dives will be conducted on Sea Fun Divers boat, our partner company in Phuket. For scuba divers, Thailand offers many varieties of marine life from small invertebrates to much bigger encounters. And the southern dive sites present grandiose dives over hard coral and spectacular boulders. The eastern dive sites offer breath taking views of high cliffs emerging from the bottom of the ocean and covered in vibrant hews of soft corals. The inviting emerald warm waters of Phuket will greatly enhanced a diver’s wonderful memories of diving Thailand. The dives are accessible in three ways. By daily regular dive trips that reach the Phuket dive sites between 1:30 and 3:00 hours. By privately chartered speed boats. And by local boats that can access neighbouring dive sites along the coast line of Phuket in minutes. This is certainly one of the most popular and most diverse dive sites. This series of three pinnacles and several rocky outcrops makes for amazing underwater photo opportunities. Here, one of the richest marine ecosystems in this whole area is on display, due to the incredible amount of dendronephthya Soft coral, sea whips, sea fans, barrel sponges, whip and wire coral. Next to a wide range of smaller critters like the Seahorse, Pipefish, Scorpion fish and Nudis, there is great schooling fish life too, including Snappers, Bigmouth Mackerels, Barracudas, Queen fish, Tunas and Oriental Bonitos. Glimpses of Zebra sharks, which gave the Site its name are highlights. Racha Noi, compared to Racha Yai, is an uninhabited island. The waters are clear and deep with moderate to fairly strong currents. 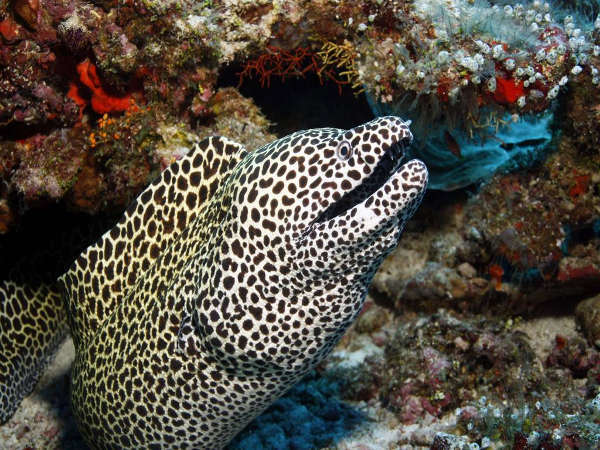 It is a good place to spot larger fish such as Barracudas, Jacks, Manta Rays and Zebra Sharks. It offers beautiful underwater formations with fringing reefs, sand rubble, rocky seabed and granite boulders encrusted with sponges, hard and soft coral. Cracks, crevices and coral provide a great habitat for all different kinds of marine life, including schools of Sergeant majors, rainbow runners and Snappers. In shallow water Squid and Cuttlefish are frequently seen along with colourful Nudibranchs and Flatworms on the steep faces of the rocks. With 9 different dive sites this island offers quite a variety. Hard corals, large bolder, soft corals reef-slopes and drop-offs; every dive site has its own attraction. Leopard sharks are very common and with a little luck divers might encounter a majestic manta ray. Monoliths rising straight from the sea. Includes wall dives, cave as well as shallow coral garden all densely populated with corals and reef fish. Now, this big wreck sits on a sandy bottom of 32 meters. The water conditions require a good level and a certain experience to dive on. Strong currents are not uncommon and the visibility can be much reduced too. Due to the wreck’s location that close to the neighboring sites Shark Point and Anemone Reef, it is teeming with life and had a very fast population growth in just a short time. Big pelagics, Turtles, Bamboo Sharks, Nudibranchs and loads of Scorpion fish can be seen here. The Wreck is an extremely popular dive. A small underwater pinnacle, sitting on a fairly flat, sand rubble bottom, entirely covered in anemones, offering a perfect hideout for small porcelain crabs, shrimps and countless anemone fish. The profusion of sea anemones and the nutrient rich water are a magnet to a constant parade of reef fish seeking food and shelter. Schools of snappers, mackerels and jacks along with larger game fish like Tuna and even Wahoo, as well as the occasional Zebra Shark can be seen here. Currents can vary from middle to pretty strong. The dive boat used for daily regular trips offer a sundeck as well as a more shaded area. There are also showers and a toilet on board. A large diving platform to enter and exit the water supervised with a CCTV camera for your extra safety and convenience for the captain. The main cabin has cabby holes to put away personal belongings. The service on board includes: complementary tea, coffee and water available all day as well as a light breakfast in the morning, a Thai buffet for lunch and an extremely helpful and friendly crew with Thai smiles. The speed boats are designed for divers’ comfort and safety. They offer the opportunity to access dive sites quickly and leave enough time to explore Phuket’s natural wonders. The typical local boats are called “longtail” boats because of the engine’s design and provide an easy access to dive sites that are close to the dive centres. Speed boat and longtail boat trips are seasonal and can be arranged between November and April. To keep the highest standards when it comes to scuba diving equipment or divers training is a must. Euro-Divers follows industry standards and local diving regulations in each country. Al our dive training is done using the latest audio-visual materials available. We firmly believe that prevention is the best medicine, therefore we recommend you to consult a doctor specialized in diving medicine prior to conduct scuba diving. 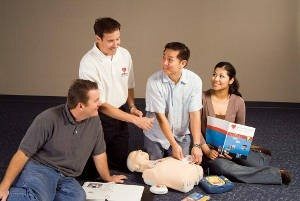 Because your safety is important to us, we will provide state of the art training and scuba diving equipment. Our standard rental equipment includes mask, snorkel, fins, weight belt, BCD, regulator with octopus and pressure gauge, dive computer and 10 or 12 Liter Aluminium tanks with both Din and Int connections.